Very friendly staff and very helpful indeed.location is excellent. Clean and comfortable would recommend this hotel any time. New Hotel Alcántara offers comfortable and modern installations at the heart of Seville's historical center. 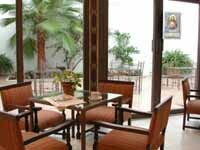 It is located in the Santa Cruz district, next to the famous Murillo gardens, declared "of Cultural interest". The hotel could not be in a better location, just a few minutes' walk away from the Cathedral, the Alcázar Palace, the Plaza de España, the river and everything that constitutes a usual visit of Seville. 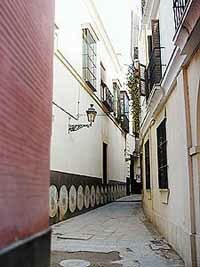 During your stay in Hotel Alcántara, you will be able to enjoy strolling through the narrow streets of the famous Barrio de Santa Cruz, the old Jewish quarter, where we are situated. Just next to the Hotel is located the city center's shopping area, as well as a variety of bars and restaurants. You can leave your car in the public car park nearby. You access this 18th century aristocratic mansion through the old coach entrance and over what were the servant quarters and the kitchen garden. This entrance brings you to a modern, bright and welcoming building where you are sure to feel at home.